However, this time, it had exactly what I needed. 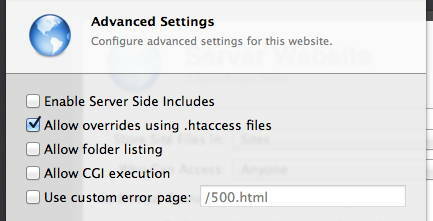 Websites -> Edit Advanced Settings -> Allow overrides using .htaccess files. I turned that on, my server immediately started paying attention to the .htaccess file that made WordPress able to handle fancy URLs, and now I am happy!